Get all the insights you need from Microsoft SharePoint using Matomo. When you look for SharePoint Online Analytics or SharePoint On-Premises analytics, look no further than Matomo Analytics for SharePoint. Matomo is available on-premises for SP2013 and SP2016. We deliver the software package to run in your SharePoint server on-premises. Also available for SharePoint Online. You can install it manually in SharePoint Office 365 or purchase it through the Microsoft Office Store. Our all-in-one SharePoint Analytics solution comes with a variety of unique features to give you a 360 degree view on your visitors and users. Once installed, Matomo will automatically measure your SharePoint Site collections, Sites, as well as your user interactions from your SharePoint intranet on-premises or online sites. You can see how your web forms are used and your internal performance, all without any extra setup. This saves you hours of Matomo administration, ensures all sites will be measured and avoids possible misconfigurations due to human error. You can track all of this with beautiful real time analytics and heatmap reports and what’s more, you can connect your analytics platform to ADFS via SAML. Matomo is different than any other analytics package. It’s a free software, which means you own the code. All the data you collect belongs to you and no-one else. Free yourself from data limits. Matomo can collect as much data as you want. Which content is the most viewed? Is specific content being viewed by all employees? Are all employees using SharePoint? How are users are interacting with the pages? What are people looking for searching for? What is the profile of each staff member and guest? How are people flowing through your website? Which links are most clicked? What is the impact of freshly published content? Want to know more? Contact us below to see how SharePoint Analytics can help you better understand your audience and SharePoint Sites. 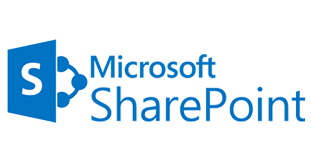 For example: Do you use SharePoint Online, or SharePoint On-premises? Type in the captcha, then click the button below to send your message.